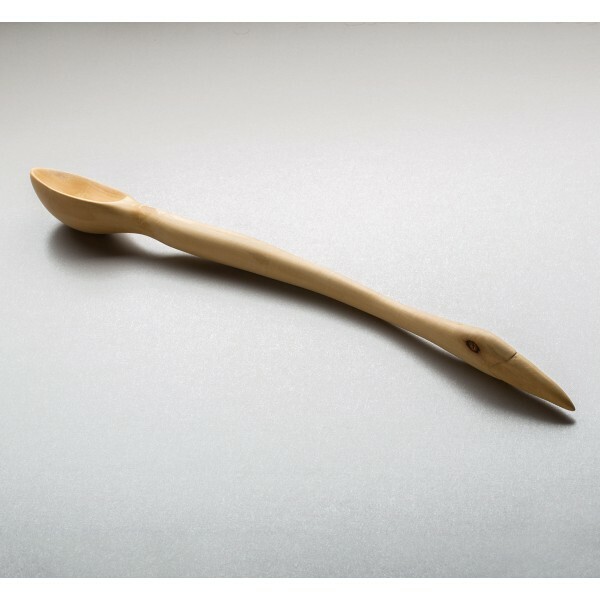 This is a fully functional and food safe spoon from artist and spoon carver Terry Widner. 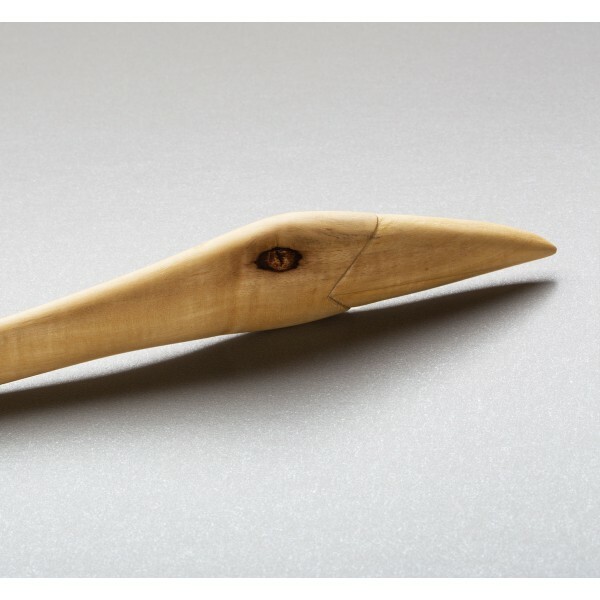 It is carved from a piece of boxwood collected in Miami. 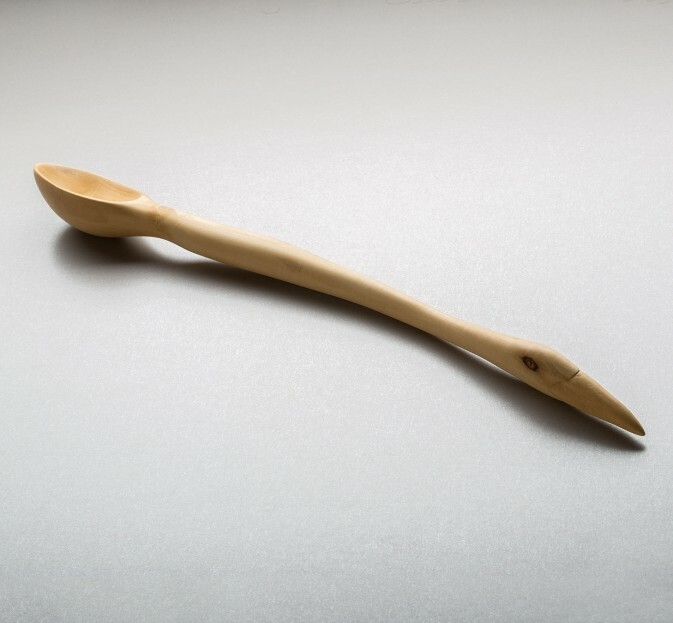 Meant to be used as a sauce spoon and named after the Eye of Sauron from The Lord of the Rings trilogy, the Eye of Sauce-ron is a one-of-a-kind spoon that even the Dark Lord would approve of. 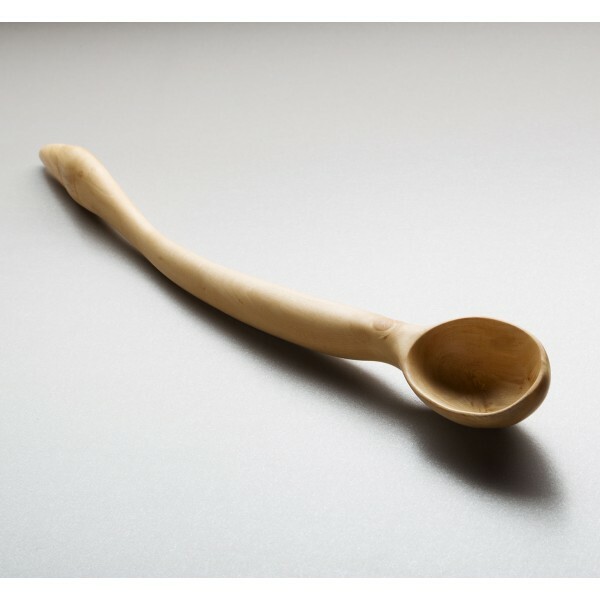 Terry Widner gives us a functional spoon carved from boxwood and inspired by The Lord of the Rings. To keep it in good condition, wash it in warm soapy water and towel dry. 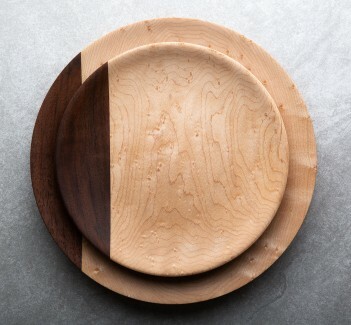 Depending on use, give it a wipe with food grade mineral oil every couple of weeks (or if it looks to be drying out). Do not place in the dishwasher as the intense heat can cause the wood to crack. This spoon was finished with a mix of bees wax and mineral oil.